The early rumors that Face ID would be locked to portrait orientation, as it currently is on the iPhone, were troublesome. 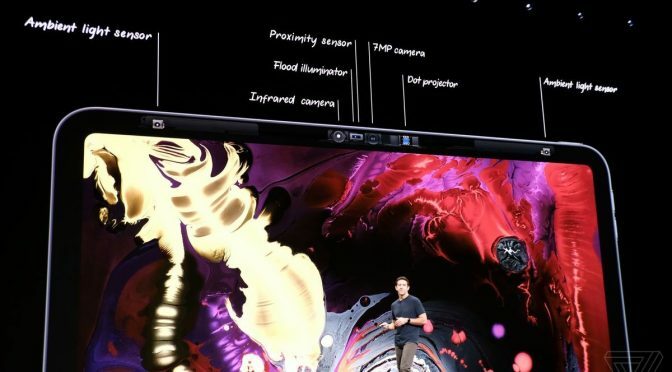 In retrospect, it looks like they were just conjecture based on the hardware leaks that showed the new Smart Connector relocated to the back of the iPad Pro. 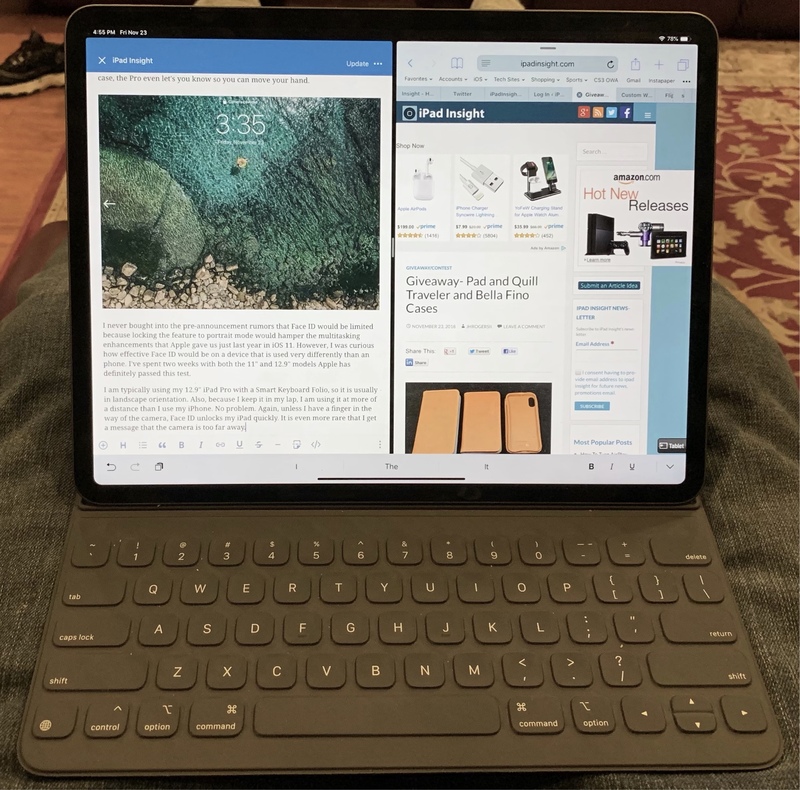 The hardware leaks were legitimate, but leakers and a few tech journalists took them out of context and assumed that the new Smart Keyboard would work like the current one and hold the iPad in portrait. Looking back, we can see just how far off base this conjecture was. But that’s how the rumor game is played these days. The reality is that Face ID works very well on the new iPad Pros, no matter which one you have or how you use it. 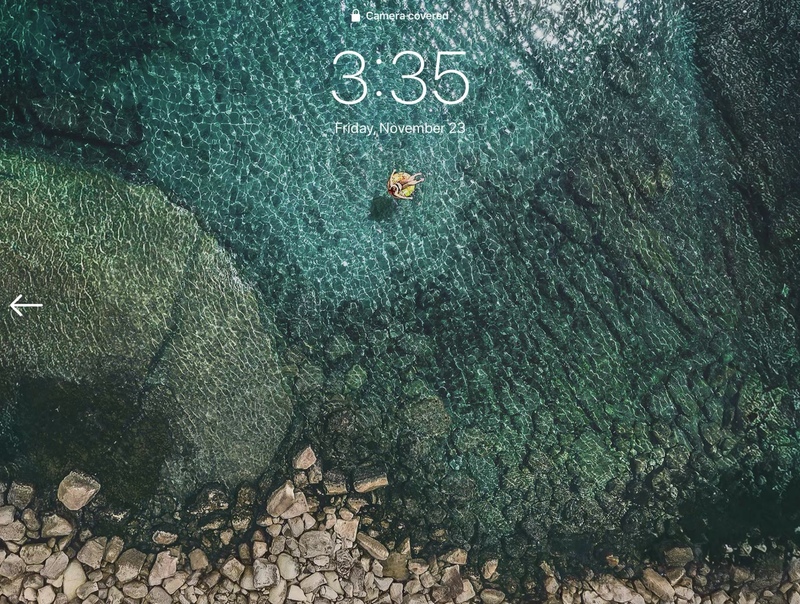 Portrait or landscape, docked in a case or Smart Keyboard Folio or in the hand, the iPad Pro unlocks fast ands easy. The only time I have to wait on it is when I accidentally have my fingers blocking the TrueDepth camera. In that case, the Pro even let’s you know so you can move your hand and let it do its job. I never bought into the pre-announcement rumors that Face ID would be limited because locking the feature to portrait mode would have hampered the multitasking enhancements that Apple gave us just last year in iOS 11. I’ve seen Apple make some head-scratching moved, but there’s just no way they would have kneecapped the iPad Pro like that. Still, I was curious how effective Face ID would be on a device that is used very differently than a phone. I’ve spent over two weeks with both the 11″ and 12.9″ models and Apple definitely passed this test with flying colors. I am typically using my 12.9″ iPad Pro with a Smart Keyboard Folio, so it is usually in landscape orientation. Also, because I keep it in my lap, I am using it at more of a distance than I use my iPhone. No problem. Again, unless I have a finger in the way of the camera, Face ID unlocks my iPad quickly and with no fuss. It is even more rare that I get a message that the iPad is too far away for Face ID to recognize me. This is a big plus in my book. As for the 11″ Pro, I tend to use it more like a digital notebook. I love using this iPad for note taking and other basic tasks. It has become more of a work-assist device for me for project management, meeting notes, and estimate take-offs, while I use the 12.9 as a “home computer” and my primary writing device. The way I use the 11″, it is usually in my hands and is more often in portrait orientation than landscape. Again, no problems with Face ID. Face ID had some big shoes to fill on the iPad Pro. While TouchID may be on its way out, at least when it comes to Apple’s mobile devices, it was still easy to use, fast, and really solid. 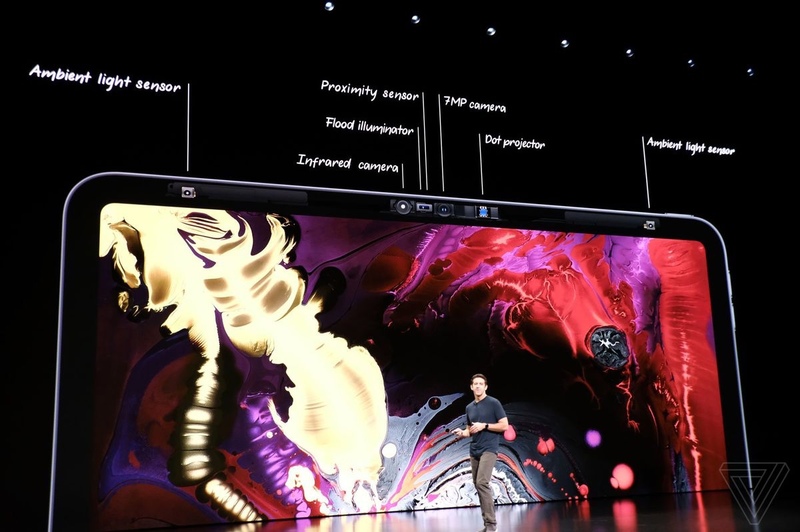 While Apple succeeded in delivering great facial recognition on the iPhone, the iPad Pro is a very different device and in my opinion, is more of a challenge. Apple got the job done. No matter which new iPad Pro I am using it or how I am using it, Face ID sticks to the old Apple motto- “it just works.” We can’t say that about everything the company makes these days, but I certainly appreciate it when things do. Previous PostGiveaway- Pad and Quill Traveler and Bella Fino CasesNext PostDon’t Miss Out On Our Pad and Quill Case Giveaway!